This site formerly contained a gas station and car wash. 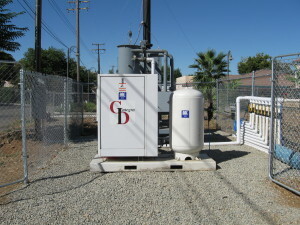 In 1992, several underground storage tanks were removed, along with the product lines to/from the product dispensers, at which time contamination was discovered. Monitoring wells began to be installed as early as 1993, and a total of 9 monitoring wells were eventually placed on and around the site. In late 2004, E2C took over the remediation of the site. In groundwater samples taken in November 2004, several monitoring wells were showing total petroleum hydrocarbons-gasoline as high as 38,000 ppb, 25,000 ppb, and 9,000 ppb. Additionally, MTBE was found in monitoring wells as high as 1,700 ppb, and benzene was found as high as 8,800 ppb. 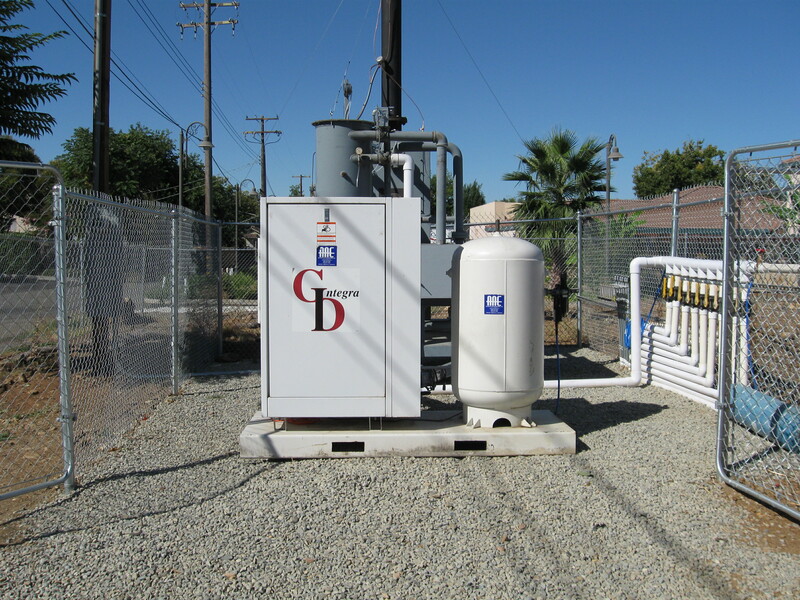 E2C began a course of high vacuum extraction in 2006, and installed a soil vapor extraction remediation system on site in August 2008. In October 2012, total petroleum hydrocarbons-gasoline in the previously most extreme monitoring wells had been reduced to 81.2, 185, and 127 ppb. MTBE was reduced to a high of 85 ppb in one well, and benzene was reduced to non-detect in all wells. After additional quarterly sampling in mid 2013, E2C sought closure through Sacramento County (the local oversight agency). Concurrence to closure was granted in late 2013, and following all final closure activity was completed, closure was formally granted in August 2014. ©2013 Environmental Engineering Consulting & Remediation, Inc.